Notley Warren MADDOX "II" [Parents] was born on 28 Mar 1773 in , Charles, Maryland. He died in 1816 in Nelson, Virginia. Notley married Frances "Fanny" DILLARD. Frances "Fanny" DILLARD [Parents] was born in 1755 in Charles City, Charles, Virginia. She died on 25 Dec 1865 in , Jackson, Georgia. Frances married Notley Warren MADDOX "II". M i Jospeh Dillard MADDOX "Sr" was born on 2 May 1782. He died on 13 Aug 1836. James GRESHAM was born about 1745 in , , Virginia. He died in 1807. James married Tabitha. Tabitha. Tabitha married James GRESHAM. Reuben PAYNE. Reuben married Mary Jane GRESHAM. Mary Jane GRESHAM [Parents] was born on 9 Jun 1784 in , , Virginia. She died on 29 Oct 1866 in , Jackson, Georgia. Mary married Reuben PAYNE. James Middleton NORWOOD. James married Elisabeth L. MADDOX. Elisabeth L. MADDOX [Parents] was born on 12 Jan 1808. She died on 12 Oct 1826. Elisabeth married James Middleton NORWOOD. Washinton F. STARK. Washinton married Lucretia DANIEL. Lucretia DANIEL. Lucretia married Washinton F. STARK. F i Clara Melissa STARK was born on 7 Jan 1851. She died on 15 Jan 1925. Charles Thomas Notley MADDOX [Parents] was born on 29 May 1830 in , Madison, Georgia. He died on 13 Apr 1892. Charles married Martha Jane STRICKLAND. Martha Jane STRICKLAND was born on 14 Jul 1831 in , Madison, Georgia. She died on 25 Jan 1911 in , , Georgia. She was buried in Pittman Family Cemetery, Near Athens, Madison, Georgia P231. Martha married Charles Thomas Notley MADDOX. John W. MADDOX was born about 1852 in , Madison, Georgia. M ii Joseph David MADDOX was born on 5 Apr 1853. He died on 23 Feb 1944. M iii Edmond Edward MADDOX was born in 1855. He died on 6 Jan 1931. Polly Anna MADDOX was born about 1857 in , Madison, Georgia. Martha J. MADDOX was born on 25 Sep 1858 in , Madison, Georgia. She died on 11 Oct 1903. Sarah T. MADDOX was born about 1861 in , Greene, Georgia. Thomas MADDOX was born about 1862 in , Greene, Georgia. Elizabeth L. MADDOX was born about 1863 in , Greene, Georgia. Cinthia C. MADDOX was born about 1871 in , Greene, Georgia. 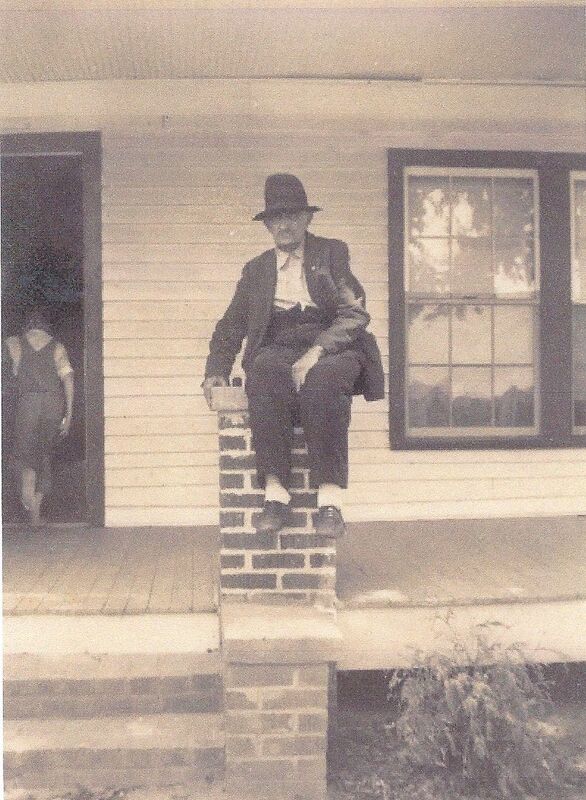 James N. MADDOX was born about 1874 in , Greene, Georgia. Joseph David MADDOX [Parents] was born on 5 Apr 1853 in , Madison, Georgia. He died on 23 Feb 1944 in , Banks, Georgia. He was buried in Vanna Methodist Church, Vanna, Georgia. Joseph married Elizabeth R. "Emmie" COPELAN on 2 Nov 1874 in , Green, Georgia. Elizabeth R. "Emmie" COPELAN [Parents] was born on 6 May 1858 in , Jackson, Georgia. She died in 17 Jan 1896 or 17 Jan 1908 in , Green, Georgia. Elizabeth married Joseph David MADDOX on 2 Nov 1874 in , Green, Georgia. M i Oscar Furlow MADDOX was born on 1 Sep 1876. He died on 4 Mar 1965. M ii Oscar Franklin MADDOX was born on 28 Dec 1877. He died on 25 Dec 1942. Janie Josie MADDOX was born on 16 Oct 1882 in Hart or Banks, Georgia. She died on 18 Jun 1949 in Elbert, Georgia. Estelle MADDOX was born in 1888 in Hart, Georgia. She died in 1915. Edmond Edward MADDOX [Parents] was born in 1855 in Jefferson, Jackson, Georgia. He died on 6 Jan 1931. Edmond married Josephine FREEMAN. Josephine FREEMAN was born on 5 Nov 1863. She died on 10 Jan 1908. Josephine married Edmond Edward MADDOX. F i Pearl May MADDOX was born on 27 May 1888. Wilson Candler HOWINGTON was born on 28 Mar 1884 in , , Georgia. He died on 2 Aug 1965. Wilson married Pearl May MADDOX. Pearl May MADDOX [Parents] was born on 27 May 1888 in Jefferson, Jackson, Georgia. She died in 21 Mar 1922. Pearl married Wilson Candler HOWINGTON. John Notley MADDOX [Parents] was born in 1760 in , Amherst, Virginia. He died before 1850. John married Elizabeth "Betsy" CAMPBELL. Elizabeth "Betsy" CAMPBELL was born about 1779 in Of, , Augusta, Virginia. She died before 16 May 1837. Elizabeth married John Notley MADDOX. F i Nancy MADDOX was born about 1800. She died on 22 Mar 1880.